If you're not shopping at The Costco for your meats...then I don't know what to tell you. Baby-sis and I are still profiting from the pork loin we got at the beginning of the year. I had been wanting to stuff SOMETHING, anything with produce and what better option than a portion of tenderloin. Thanks to my nana's obsession with ALL THINGS QVC & HSN she had an abundance of Deni Freshlock Sealers and gifted me one sometime back. 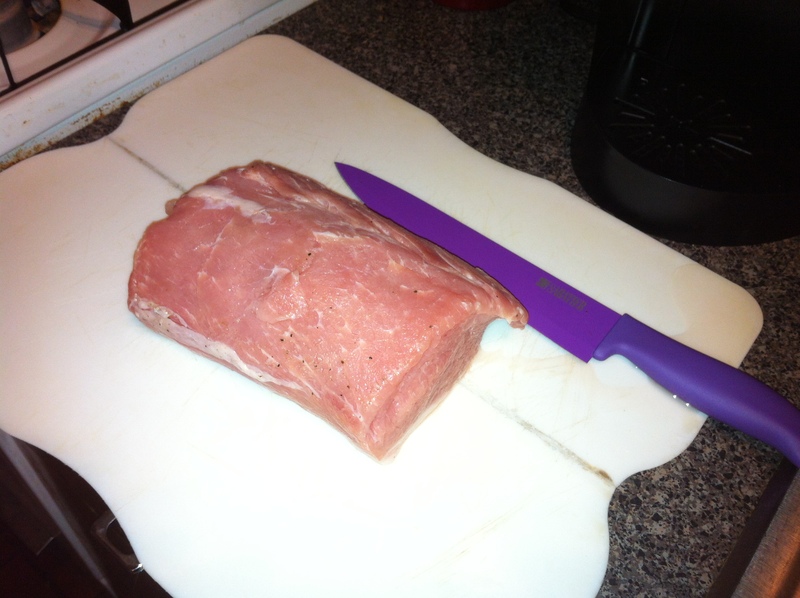 Well the time was right to actually use the thing, so I cut the loin into portions and proceeded to seal and freeze. Now I will say this is NOT the best sealer by any means, in fact I don't recommend it at all, but the idea is solid and I'm sure someone has made a better product. 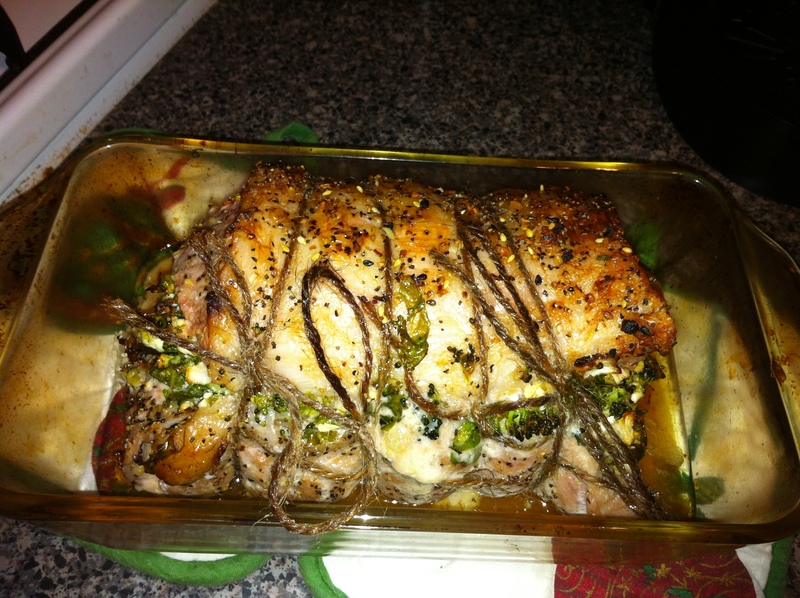 But I digress... Start with a pre-heated oven at 400, then butterfly your pork loin. This means cutting it 1/4 - 1/2 inch from the bottom, it should open like a book. Coat both sides with EVOO and sprinkle with salt and pepper. 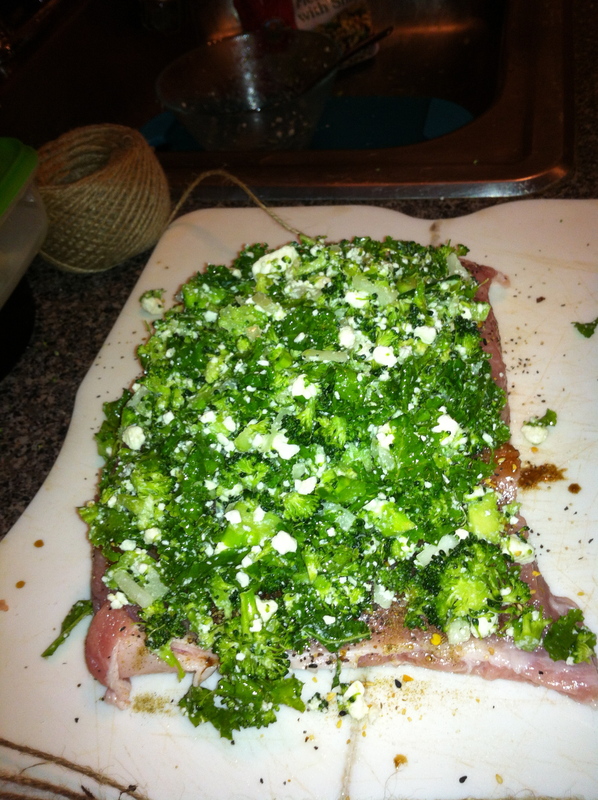 In a separate bowl I mixed in chopped kale, broccoli and feta cheese. 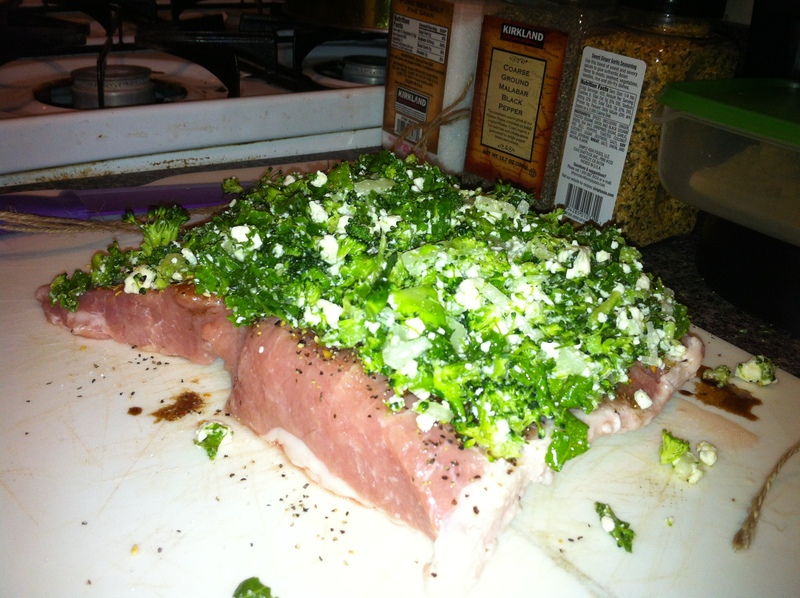 From there mix in 2 tbsp of EVOO and your seasonings. 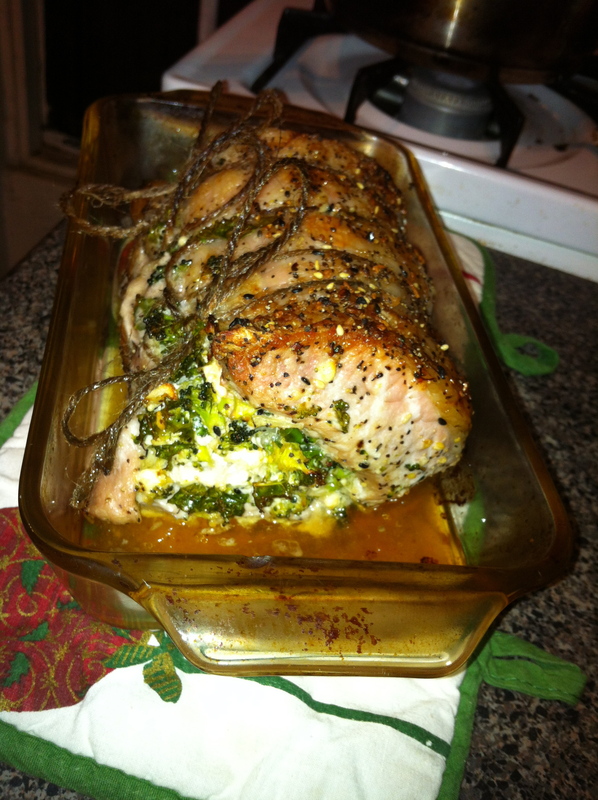 I used - ground basil, oregano, and sweet ginger garlic seasoning by Simply Asia. After you've mixed together all the ingredients layer them on top of the loin. 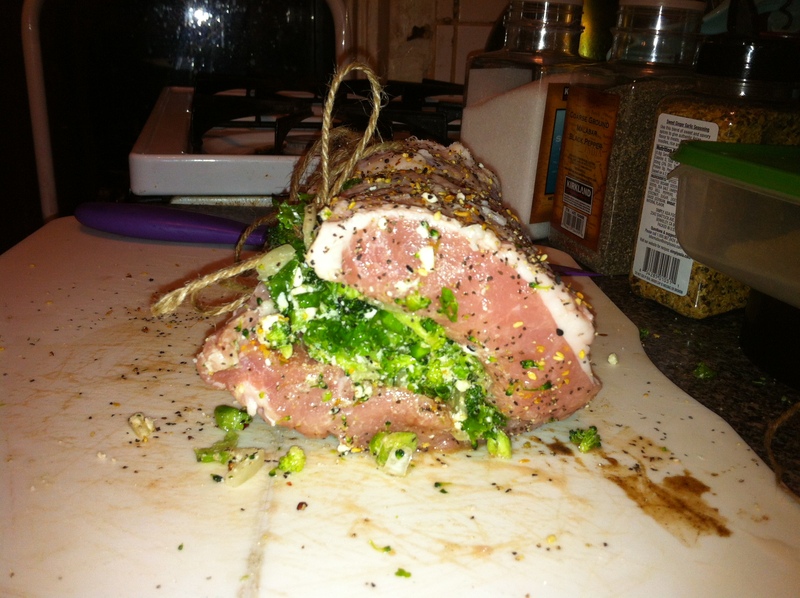 Afterward take your time rolling the loin up. 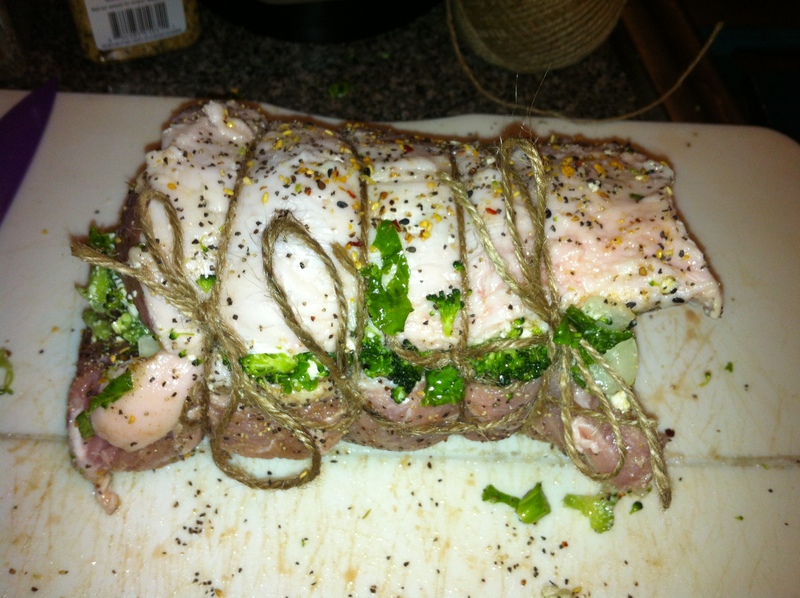 I suggest pre-cutting your twine and laying it under the loin to make the tying easier. Cook for 35-40mins and let sit for 10mins for everything to settle. 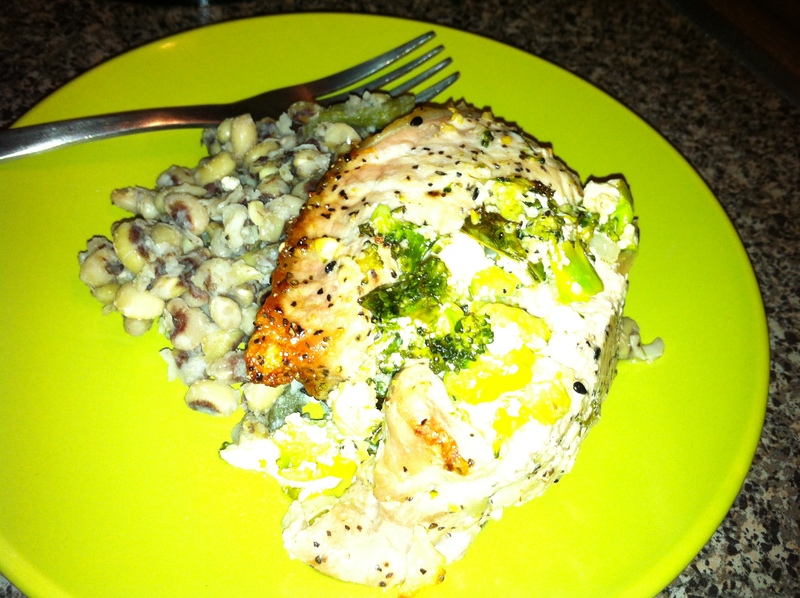 I put this over peas and beans and my belly had a ball!